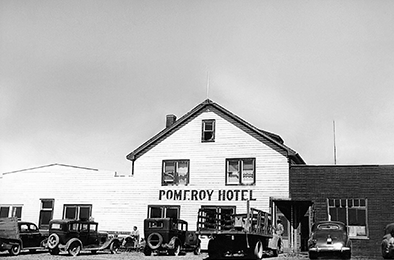 Family founder, Ralph Pomeroy, purchased a hotel in 1941 in Fort St John B.C. The Pomeroy Hotel was a place where guests could find all the comforts of home with unsurpassed quality, and it became the cornerstone of where the business is today. Ralph’s nephew Bob Pomeroy, who also had a passion for business, inspired and changed the landscape of hospitality in the Peace Region of British Columbia for over 25 years. The Pomeroys have owned and operated over 65 businesses, which are comprised of over 15 different brands. The family has received several prestigious awards including the Intercontinental Hotel (IHG) Group Developer of the Year, IHG Quality Award, and the Wyndam Hotel Group Top Quality and Overall Performance Award. The family legacy continues with the third generation, Ryan Pomeroy, who is bringing innovative and leading-edge hospitality to Western Canada. Having recognized the need for an extended-stay hotel in the market, he opened the first Pomeroy Inn & Suites in Grande Prairie in 2004 and since then, Pomeroy Lodging has seen tremendous growth. In 2010, Pomeroy Lodging LP (PLLP) was formed in order to restructure and combine the assets that were previously operated as separate legal entities under one limited partnership. This restructuring has allowed for streamlined operations of the four proprietary brands: Pomeroy Hotel & Conference Centre, Pomeroy Inn & Suites and Stonebridge Hotel.